You won't find a BETTER PRICE or BETTER SELECTION ANYWHERE. Over 1000 travel trailers, fifth wheels, toy haulers, park trailers and destination trailers plus tent campers. If you prefer less crowds, stop by our dealership. There is free parking, no admission fee and you will always shop in comfort in our indoor showrooms. 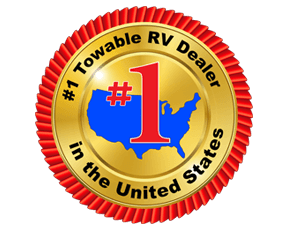 So whatever you are interested in; travel trailers, fifth wheels, tent campers, toy haulers or park models you will find it here.